Employees are the backbone of any company. If they fail to perform their responsibilities in a proper manner then the company will sooner or later fall apart for certain. In this day and age, having many employees is not the solution to any problem, the solution would be to simply have a few worthy candidates, who would be excellent at what they do and never accept failure at any cost at all. If you too wish to hire such skilled professionals on your team as well, then here are some great actionable interview tips and strategies to enable you to identify great candidates when they appear before you. What Makes a Great Candidate for Job? A great candidate is someone who has great credentials and qualifications. In this day and age, having theoretical knowledge is just as vital as having practical knowledge. If you do not have good or the basic educational requirements, then no company will be willing to even call you in for an interview. Employers want to hire those individuals who have qualifications and degrees from good as well as recognized educational institutions. Having good marks and grades shows that the candidate is someone who is hardworking, smart as well as dedicated. No one wants to hire individuals who have no qualifications. A great candidate for a job is someone who is always willing to learn new things and even try his hands on different things. It is only the mediocre people who love to stick to doing merely one thing and never want to explore all the new possibilities which lie before them. So if you are on the lookout to employ new candidates to your company, ensure that you hire someone who is passionate about their profession and not just someone who is in it to make a lot of money. The desire to learn and thirst for knowledge is something which is very hard to find these days. In the business world, it is very important to have a professional stance. Those who do not have a professional stand or stance are never able to gain respect from their juniors or get the respect of their colleagues as well. A great candidate is someone who talks only when spoken to and acts in a diplomatic manner at all times. This professional stance is something which separates mediocre candidates from the great ones. Great candidates are not easy to find at all, so once you have managed to find one, be sure to keep him happy and content as well as appreciate him at all points in time. A great candidate is someone who is able to make a powerful impression and leave a mark in your mind. Average candidates are those who come and go and have nothing in them which makes them stand out from the rest. Rather than hiring some average people to your company, it is always a great idea to hire only those who you are really sure as well as confident about so that you do not end up having any regrets at later points in time. If you think that someone really stands out, then be sure to trust your instincts and go with the flow. 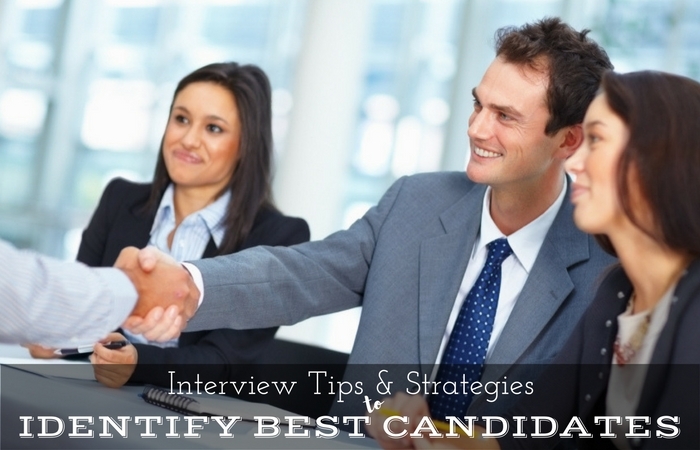 A great candidate is someone who is capable and has the experience and the impressive resume to back him up. In this day and age, a resume can’t be thought of as a simple meaningless document, rather it should be thought of as a powerful marketing device, where the product put up on display is you. A great candidate for any job would be someone who can immediately convey right at the onset that he is someone who has a vision for the company. Companies should always employ people who dream big and are willing to do anything to convert that dream into a reality. So as soon as you notice that someone is a visionary, be sure to hire him on-board because such a person is sure to impress you a great deal in time to come with all that he can do for the company. Such people want only perfection and never stop short of it. All employers are looking to hire candidates who are able to speak in a very clear and comprehensive manner so that the person listening to them is immediately not only impressed but also fully understands the words. Recruiters never hire on-board those individuals who think a lot but are rarely able to put their thoughts into clear words. Sometimes it is tough to put your ideas, into merely words, but having communication problems all the time is just something not taken well. Of all the things which recruiters are on the lookout for, this is perhaps the most vital thing which they keep an eye out for. Recruiters are looking out for those employees who look very neat and presentable especially when they come in to work. Those individuals, who do not dress well, never get the respect which is due to them. So if you would like to bag a job in a big and powerful company, ensure that you look the part and have a neat appearance. This certainly does not mean that you spend a lot of money on your wardrobe, all you need to do is look tidy so that you come across as someone who is mindful of appearance and would never do anything that would bring the name of the company down. Companies are on the lookout for people who are not simply good at doing just one thing. They want problem solvers who are able to deal with an array of things simultaneously. They do not want people who are experts at everything but they simply want those people who are well informed about a number of topics. So when applying for a job, ensure that you have read up a lot of things and have an opinion on a number of different relative topics. If you are unable to answer questions on pressing issues, you will certainly not be considered for the post. All recruiters are on the lookout for those individuals or candidates who are unconventional and do not conform to the regular stereotypes. Being unconventional does not mean that the person does not conform to the rules and regulations, it simply means that the person has an unconventional way of dealing with and doing projects which have been assigned to him to work on. Often people who work in an unconventional manner are able to find easier ways of doing things. The ability to think out of the box is something which is very hard to find, and that is why it is much appreciated. Of all the things employers are looking out for, in those who apply for jobs at their company, one of the main things is the ability to think quickly as well as in a practical manner. The ability to think quickly is something that is needed on a daily basis in few companies. So if you have the ability to think quickly then any company would be willing to hire you without thinking twice about it. It is rather unfortunate that something like bookish knowledge is so easy to find today, but common sense is something which most people are lacking in. Primarily speaking there are two main kinds of skills, hard skills and soft skills. To get a job in any company, candidates need to have a good healthy mix of both these kinds of skills. Hard skills are easier to measure and are absolutely vital, when hiring a person on-board. This includes knowledge and actually wisdom which the person has about the post he is applying for. Soft skills are very important when hiring a person on-board, if a person does not have the soft skills required for the job, then no one willing be willing to hire him to their company. There are a number of soft skills, which employers are on the lookout or in candidates, but the main ones include, leadership skills, communication skills, comprehension skills as well as the ability to work in a team. The value of these soft skills cannot be underestimated. The most difficult thing is however, that other skills are not easy to measure directly and we can only get a grasp of a person’s skills once we have actually worked with them. In order to identify great candidates, you have to be willing to put in a lot of time as well as effort. If the recruiting process is not thorough then you will never be able to identify the great candidates when they come to you. You must be willing to and have the experience to look below the surface and recognize things which the person may not even be saying. To hire the best people on-board, you must have a good set of recruiters so that they know exactly what to look for and know exactly what the company needs to prosper. To identify a superior candidate you should ask difficult questions, not merely to see what answers the individual manages to give, but also to see how the person deals with the tough situation. The person may not be able to give the correct answer, but just take keen note of how he is able to deal with the situation and recover from it as well. Things like this do matter a lot in the business world. In addition to asking tough questions in the course of an interview, to get an understanding of how to identify a good candidate you need to ask situation based questions to know how the person thinks in practical terms. Does the individual think along conventional lines or unconventional lines? Based on the answers given, you can decide whether this is an individual who you need in your company. Do not hire someone who you know will fail to offer your company anything special, rather hire someone who you know will make the maximum of all the resources at his disposal. These are some of the many things which can help you make the right choice when it comes to choosing your candidates. If you fail to employ the right people on-board, then that is bound to wreck havoc in the establishment which you have founded. For a company to succeed, everyone has to give their due effort. If the efforts are half hearted or dissatisfactory, then the company will never taste success. So do hire the best of the best and in time to come, you will reap rich dividends for all the efforts and pains which you have taken.